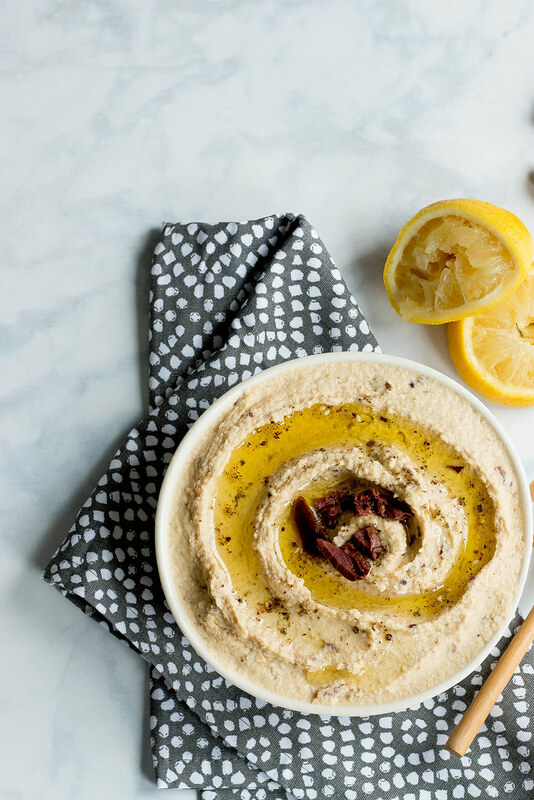 Making your own Hummus at home is incredibly easy and you can do it on the cheap. 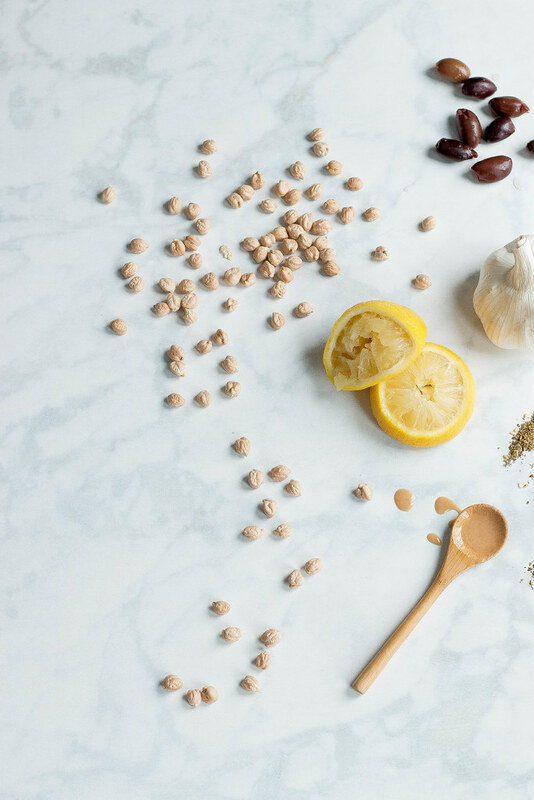 It's even less expensive if you have time to cook up a big batch of dried chickpeas. Justin absolutely loves kalamata olives - in hummus they add a nice bit of extra salt that he loves. 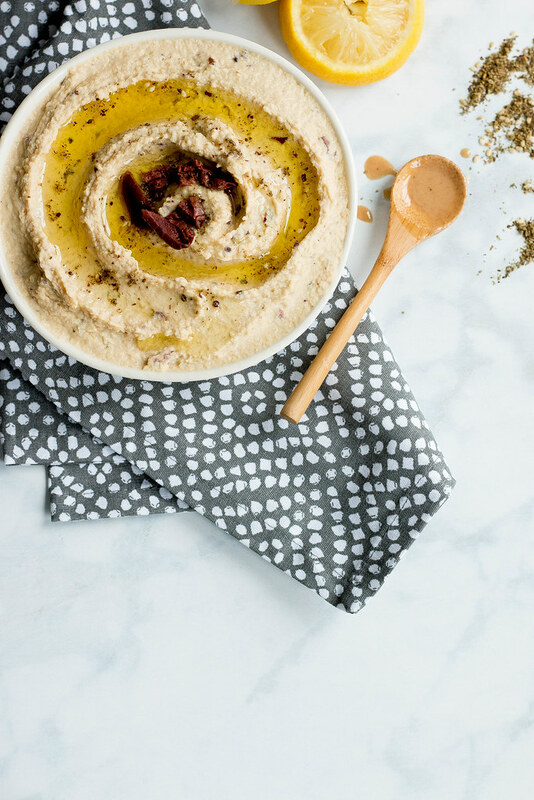 The za'atar is for me- I love using this spice blend in my hummus. 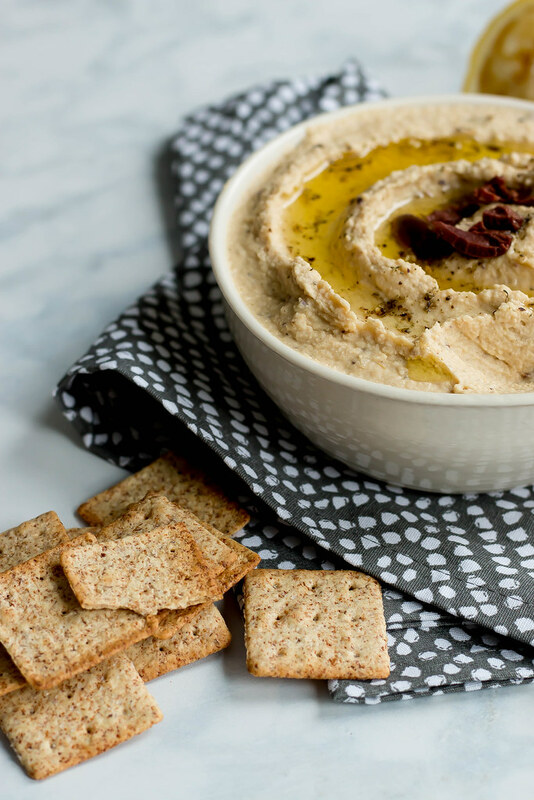 If you can't find or have za'atar on hand simply omit, the hummus will still be tasty. 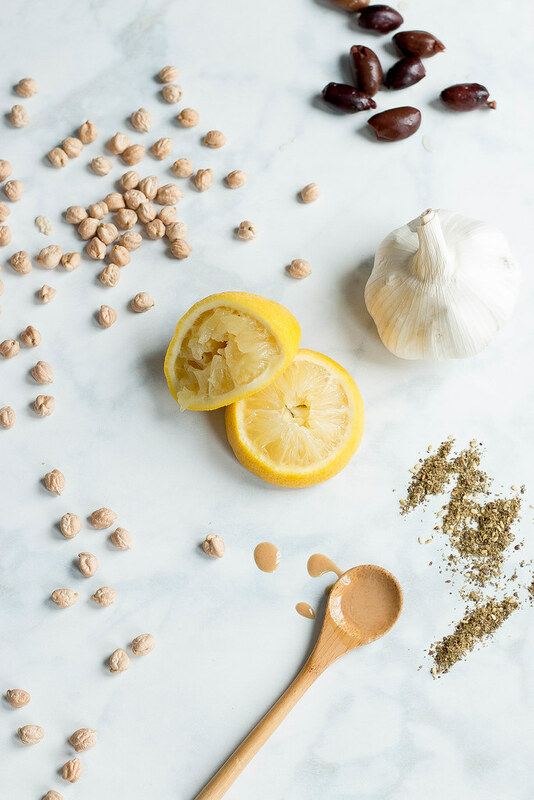 In the bowl of a large food processor ad chickpeas, garlic, tahini, lemon juice + salt . Process for about a minute until a thick paste begins to form. Stop and scrap down the sides. Turn processor on and slowly add the water until the hummus begins to turn smooth and creamy. Scrap down sides and add za'atar + olives - pulse a few times to incorporate the olives and spice. 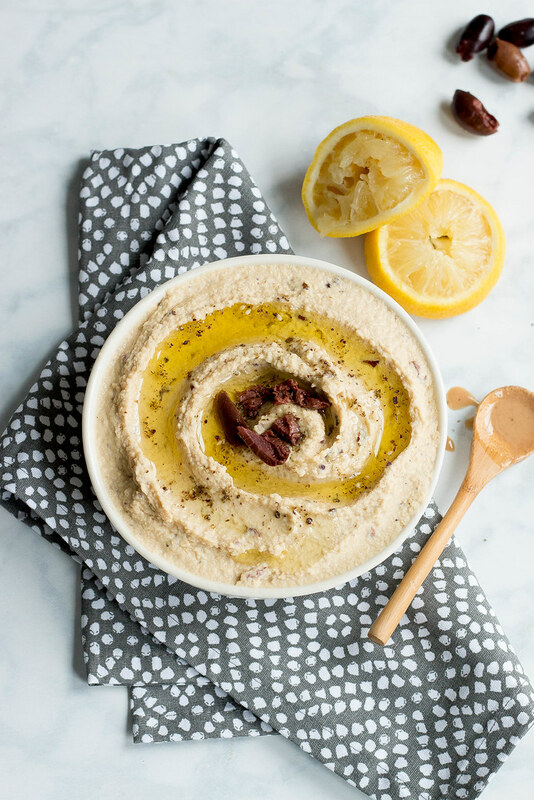 Transfer hummus to an airtight container, drizzle with olive oil and sprinkle with a bit of za'atar and olives. Should stay fresh for 1-2 weeks in the fridge.